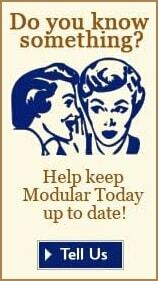 "...Have us build your customized modular home! Custom Building Systems LLC manufactures its modular homes to your specific custom designs. Custom Building Systems LLC has redefined the way people build homes, whether it's an affordable starter home or a highly-customized luxury showpiece..."
Energy Efficiency R19 Kraft faced fiberglass in exterior walls, Wind/House wrap, R30 Kraft-faced fiberglass in ceiling. Customization Flexibility Full customization and upgrades are available. Information Package Received email with attachments including 83 page product information guide the next business day. 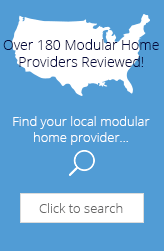 Editorial Review Custom Building Systems is a good provider of modular homes. They offer a very large amount of customization and can produce a multi-story home that will blend in any neighborhood. Our main concern with them is the long distance from their factory to certain building sites which might decrease the cost savings by having higher transportation costs. For most prospective home buyers this should not be an issue. Based on the people that we interviewed and our other research we feel they are a good option for homebuyers to consider. Personal Reviews of Custom Building Systems, LLC. The CBS office remained open while homes were built at Plant 1 in Middleburg PA for four years. The production line at Plant 2 reopened in 2012. Nothing deceptive, they just downsized temporarily due to the recession. Both plants are building homes and doing great now. I have seen their homes and they do an excellent job! The manufacturing facility at Custom Building Systems, LLC. has been shut down for over one year and they build their houses at another facility. Very deceptive! Share Your Opinion of Custom Building Systems, LLC. We invite you to share your personal opinion of Custom Building Systems, LLC.. Please explain your like or dislike.